A Mini PC is a computer in a small case that takes up very little desk space. 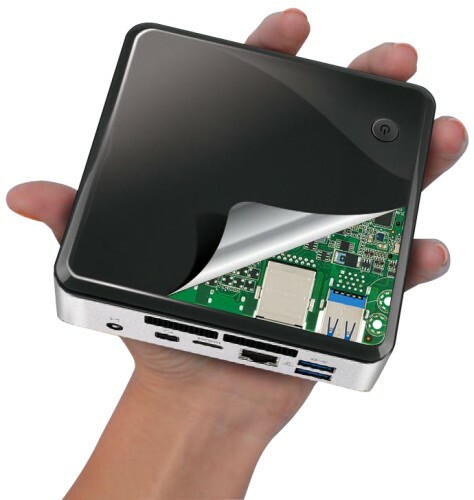 Configurable with the same CPUs and capacities as full-size desktop computers, a mini PC has no internal expansion, much like an all-in-one computer where all components are housed inside the monitor case. They now come in a variety of performance levels, from basic use right up to gaming models. Legend PC uses only high quality components that meet or exceed the expectations of our expert system engineers. ASUS MINI PC PN40 SERIESPN40-C4005M4S64W10P-CSMUltracompact mini PC with Intel® Celeron® and Penti..
ASUS UN68U SERIESUN68U-8i5M8S256W10P-CSMQuiet mini PC with Intel® Core™ i7 or i5 processor, Window..
ASUS UN68U SERIESUN68U-8i7M8S256W10P-CSMQuiet mini PC with Intel® Core™ i7 or i5 processor, Window..
At Legend PC, we offer complete solution with our Intel NUC model. Every Intel NUC comes with 8GB Ra..
FeaturesA Whole Computer on a Stick!A new way to plug into home entertainment, the Intel Compute Sti..
At Legend PC, we offer complete solution with our Intel NUC model. Every Intel NUC comes with 8G..